A spate of lynchings of Indian Muslims has highlighted the religious violence that has been rampant in India for decades. The 2014 election of Hindu Nationalist leader Narendra Modi to the office of Indian Prime Minister has further emboldened the Hindu Nationalists who have been the main planners, instigators and perpetrators of murderous rampages against India's religious minorities. Modi was shunned by much of the world for over a decade for his part in the 2002 Gujarat massacre of Indian Muslims. His policies as prime minister indicate that he's not a changed man. Yet, he is now being embraced by the western leaders who claim to uphold human rights and religious freedoms. The situation for India's minorities, particularly Muslims, has become a lot worse in the last two years with Hindu mobs lynching Muslims with impunity. 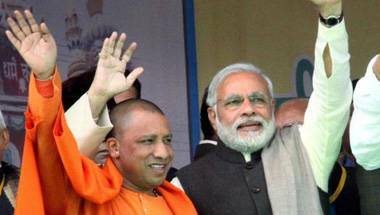 Recent election of anti-Muslim radical Hindu priest Yogi Adiyanath as Chief Minister of Uttar Pradesh, India's most populous state, is seen as a clear signal from Mr. Modi that his anti-Muslim policies will continue. This year, The Indian Express, an English-language newspaper, found seven incidents between March and May of 2017 in which Indian Muslims were lynched by Hindu mobs. On June 22, three Muslims were killed in West Bengal state after being accused of cow smuggling. On June 27, a Muslim dairy owner in the state of Jharkhand was attacked by a mob after being accused of slaughtering a cow; the man was rushed to a hospital in critical condition after the police managed to save him from his attackers, according to Al Jazeera. India is seeing a spate of lynchings of Muslims by Hindu mobs who have been emboldened by the rise of anti-Muslim Hindu Nationalist leader Narendra Modi since his 2014 election to the highest office in India. The elevation of fellow radical Hindu Yogi Adiyanath to the top job in Uttar Pradesh by Mr. Modi has further alarmed India's Muslim minority. University of Washington's Professor Emeritus Paul Brass, who has documented the history of anti-Muslim violence in India, describes it as "a grisly form of dramatic production" by well-known perpetrators from the Sangh Parivar of which Prime Minister Modi has been a member since his youth. Pew Research report on religious violence confirms India's status as a country with "very high" levels of social hostilities against religious minorities. There appears to be no relief in sight for them at least in the foreseeable future. In Pakistan, tens of thousands of Shia have been evaporated in bombings, plus the Ahmadis, and other minority religions. Balochi young men have been obliterated (like Bengalis in E Pak). The jews have been literally kicked out. Shams: "In Pakistan, tens of thousands of Shia have been evaporated in bombings, plus the Ahmadis, and other minority religions. Balochi young men have been obliterated (like Bengalis in E Pak). The jews have been literally kicked out." Your parroting of propaganda based on extreme exaggeration of facts is no match for actual data that the Pew Research report is based on. Last month Prime Minister Narendra Modi said murder in the name of cow protection is "not acceptable". Hours after his comments, a Muslim man was reportedly killed by a mob who accused him of transporting beef in his car. Under Mr Modi's Hindu nationalist BJP, the cow has become a polarising animal and religious divisions are widening. Restrictions on the sale and slaughter of cows are fanning confusion and vigilantism. The recent spate of lynchings in India have disturbed many. Muslim men have been murdered by Hindu mobs, mostly in BJP-ruled states, for allegedly storing beef and, in one case for helping a mixed-faith couple elope. Using data gleaned from news reports, some have argued that such hate crimes have increased since Mr Modi's Bharatiya Janata Party (BJP) government came to power. Party chief Amit Shah has rejected such assertions, saying there were more incidents of lynchings when the previous Congress government was in power. When a prominent journalist said India was becoming a "lynchocracy", critics immediately took to social media to say that India had a long history of mob and religious violence and liberals were exaggerating the import of the recent murders. A BJP MP and columnist wrote that there was a "streak of underlying violence in India's public culture", and since Independence, "political violence has been supplemented by flashes of mob violence aimed at either settling scores or securing justice". I spoke to Sanjay Subrahmanyam, one of India's most distinguished and provocative historians, on the cultural history of violence in India. He told me it would be useful to distinguish between three acts of violence: pogroms (violent riots aimed at the massacre or persecution of an ethnic or religious group), mob violence and killings to defend social norms. During a pogrom, he said, "a majority community targets a minority, and the violence takes place on a sizeable scale, in an orgiastic mode". "These are also usually repeated incidents. They often are based on systematic mobilisation, as well as systematic targeting. We all know the prominent instances in India. (The anti-Sikh riots in 1984, or the 2002 anti-Muslim riots in Gujarat, for example.) Often, the forces of law and order have a part, either active or passive." Mob violence, Dr Subrahmanyam says, usually comprise acts on a small scale, which claim to deliver vigilante justice, because the forces of law are feeble and undependable. "These are your thieves and robbers, or even sometimes when a car accident happens, a crowd gathers, and lynches the driver. Essentially, this is because of the perceived weakness of the law to deliver what it promises." Adityanath (pronounced Ah-DIT-ya-nath) was an astonishing choice by Narendra Modi, India’s prime minister, who came into office three years ago promising to usher India into a new age of development and economic growth, and playing down any far-right Hindu agenda. But a populist drive to transform India into a “Hindu nation” has drowned out Mr. Modi’s development agenda, shrinking the economic and social space for the country’s 170 million Muslims. But by midmorning, it was clear that something unusual was going on. A chartered flight had been sent to pick up Adityanath and take him to Delhi for a meeting with Amit Shah, the party president. At 6 p.m. the party announced it had appointed him as minister, sending a ripple of shock through India’s political class. They were shocked because Adityanath is a radical, but also because he is ambitious, even rebellious. As recently as January, he walked out of the party’s executive meeting, reportedly because he was not allowed to speak. Mr. Modi is not known to have much tolerance for rivals. “Remember, he is 20 years younger than Modi, and he is a known doer, so if he manages to deliver on some fronts, he would then become a possible candidate” in 2024, she said. Adityanath may be interested in rebranding himself a mainstream politician, but his followers in the vigilante group do not all agree. During the days after the election, some 5,000 men came forward to join the organization every day, prompting organizers to stop accepting applicants, said P. K. Mall, the group’s general secretary. Mr. Riaz is pig slaughter and consumption allowed for non Muslims or Muslims who want to consume it? Anon: " is pig slaughter and consumption allowed for non Muslims or Muslims who want to consume it?" There's no ban on pork in Pakistan. I understand your projection to Indian problems here in light of Pakistans. Prejudice is everywhere. Against blacks and others in the US to Sunni Shia politics internationally. However, it is the infrastructure of hate and the scale of militant religious fervor that is imported and exported throughout the world in the form of terrorism, is the true question. Pakistan needs to analyze that within itself otherwise the world will continue judge it harshly. Zain: "Pakistan needs to analyze that within itself otherwise the world will continue judge it harshly. " "The world" judges nations and religions based on its own interests, not based on merit. The hypocrisy of "the world" is on full display all around us.....some are judged very harshly while others escape with little or no criticism for the same or similar actions. Atrocities committed by western, Indian and Israeli forces barely get mentioned while actions of those in countries considered unfriendly get maximum negative coverage. Pakistan should do what Pakistanis see fit and not to please "the world". In early July, local engineer Nazmal Hassan was caught wearing a burqa by police at Aligarh railway station in India's northern state of Uttar Pradesh. He wanted to hide his identity due to fear of being targeted on the train. His cover was blown when he was getting off the train and his bag accidentally hit a co-passenger, who fell over. Mr Hassan said that the person accused him of intentionally hitting him, before launching an outburst of verbal abuse — attacking his religion — in public. "Incidents of killings on the issue of us being beef eaters have scared me to death," Mr Hassan told the ABC. "I have started believing that such things can happen to me also and I could also end up being a victim of this violence." Mr Hassan's memory returned to the horrific murder of Junaid Khan, a 16-year-old Muslim boy, who was stabbed to death on a train while he was returning home from Delhi in early June. Khan was allegedly killed because of his Muslim identity. The teenager, wearing a skullcap, was thrown off a train after being stabbed by an unruly mob. The assault was yet another against Muslims, who make up about 14 per cent of India's 1.3 billion people population. According to international NGO Human Rights Watch, vigilante campaigns against those who consume beef have led to the killing of at least 15 Muslims — including a 12-year-old boy — since May 2015. Scores more have been injured in seven separate incidents of mob violence. India is experiencing a spate of vigilante murders targeting mainly Muslims accused of eating cows, which Hindus consider to be holy. The violence is causing growing unease among the country's Muslim minority, prompting calls from activists for the Government to act. Khan's was one of the many lynchings and atrocities against Muslims in recent months. Lynching is an old crime in India, often committed against those of so-called lower castes and marginalised tribes in order to reinforce brutal social hierarchies. India is not shimmering, it is simmering. 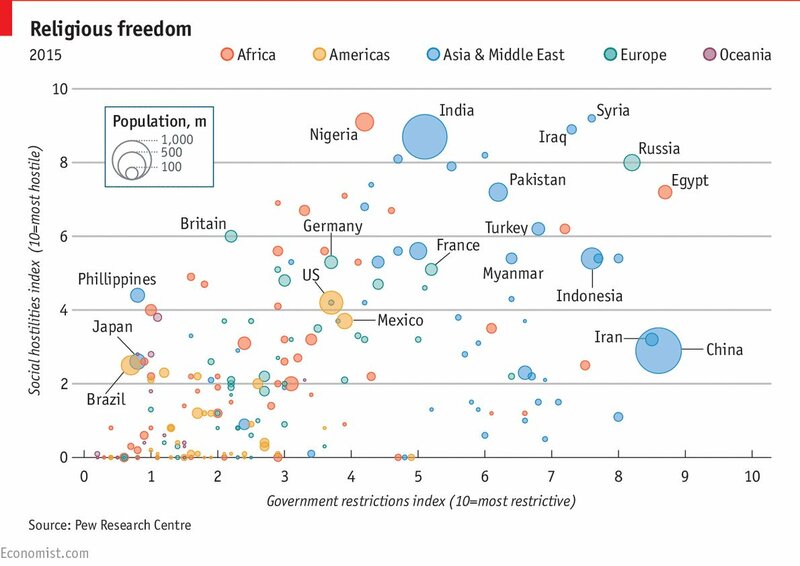 The Bharat-India cleavage has widened to an unprecedented degree. The disconnect between ground narrative and the public discourse is nothing short of hallucinatory. There is unprecedented farmer distress in the country.As many as 12,602 persons involved in the farming sector– 8,007 farmers-cultivators and 4,595 agricultural laborers –committed suicide in 2015, according to figures provided by the central government to the Supreme Court.Union agriculture minister Radha Mohan Singh told Parliament that according to National Crime Records Bureau data for 2016, which is yet to be published, 11,400 farmers committed suicide; in 2015, the number was 12,602. From Tamil Nadu to Mandsaur in Madhya Pradesh and even in the food bowl, Punjab, falling farm incomes are driving farmers to take the extreme step of ending their lives. Similarly, the industrial scenario is dismal. In June 2017, eight core sectors of the economy grew by a dismal 0.4% , down from 7% for the corresponding month in 2016. The growth in Index of Industrial Production (IIP) was 1.7 per cent in May 2017, as compared to a growth of 8.0 per cent in May 2016. Demonetization and the implementation of the flawed GST have further broken the back of the informal sector of the economy leading to widespread chaos. The GDP growth numbers evidence this phenomenon. In the fourth quarter of 2016 the economy clocked only 6.1% which at 2004-05 base year translates into a measly figure of 4.1% only. Social harmony has been torn to shreds with Hindustan acquiring the notorious sobriquet of Lynchistan – all thanks to the active encouragement and support of the ruling dispensation, notwithstanding the pro-forma condemnation by the prime minister once in a while. It does not require rocket science to discern the truth. You only need to ask why these lynchings weren’t taking place between 2004-14 and why have they become a norm these past three years? Internal security lies in tatters. Kashmir is up a creek without a paddle. It is a volcano waiting to explode again as it did last year after Burhan Wani was killed by security forces last year. Maoist activity is on the rise. From January 1-July 15, 170 deaths in 504 incidents have taken place. The North East is on the boil with the Gorkhaland violence having peaked this summer.The 47-day-long indefinite shutdown, which started on June 15, is the longest so far in the picturesque hill station which had last witnessed a 40-day bandh in 1988 by the Gorkha National Liberation Front and a 44-day shutdown in 2013 by GorkhaJanmuktiMorcha on the statehood issue. Even in the otherwise peaceful state of Tripura, the Indigenous People’s Front of Tripura has upped the ante on their demand to carve out Tipraland— a separate state from Tripura. Meanwhile, there is no sign of the fabled Naga Accord. NBA champion Kevin Durant of the Golden State Warriors had visited India in July to help the NBA make inroads into the nation of 1.3 billion. Durant took part in a camp in New Delhi, where he helped set a Guinness World Record for the largest basketball lesson – 3,459 people participated in it across multiple venues. The NBA finals MVP met young players at the NBA Academy, with many more joining via satellite from four other cities across the country. However, after returning to the United States, he said in an interview to The Athletic that India is 20 years behind in terms of knowledge and experience. I went with no expectation, no view on what it’s supposed to be like. I usually go to places where I at least have a view in my head. India, I’m thinking I’m going to be around palaces and royalty and gold — basically thought I was going to Dubai. Then when I landed there, I saw the culture and how they live and it was rough. It’s a country that’s 20 years behind in terms of knowledge and experience. Durant added that there are “just a bunch of underprivileged people living in India”. You see cows on the street, monkeys running around everywhere, hundreds of people on the side of the road, a million cars and no traffic violations. Just a bunch of underprivileged people there and they want to learn how to play basketball. That was really, really dope to me. Ancient Indian scriptures imposed no bar on eating beef and, in fact, ayurvedic Acharya Charaka had recommended beef for some disorders, said veteran scientist P M Bhargava in his letter to President Pranab Mukherjee marking his returning the Padma Bhushan. TOI on October 29 first reported the decision of Bhargava, 87, the founder director of Centre for Cellular and Molecular Biology, to return the award he got in 1986, as a mark of protest against rising intolerance in the country. Quoting Charaka Samhita, Bharagava said: "The flesh of the cow is beneficial for those suffering from the loss of flesh due to disorders caused by an excess of vayu, rhinitis, irregular fever, dry cough, fatigue, and also in cases of excessive appetite resulting from hard manual labour." Bhargava said the lynching of Mohamed Akhlaq in Dadri "probably by fringe elements related to BJP" showed "the control that BJP wants to have on what we may eat ... just as it wants to control what we may wear, or whom we may love, or what we may read." He called the Modi government "the least knowledgeable" about science. "I am a professional scientist with an experience of 65 years. I have also had the occasion of interacting on matters of science with the governments at the Centre since Independence. I find the present government the least knowledgeable and least concerned about science. The climate of religious conservatism that we have today is a major obstacle in the functioning of science and thus in meeting developmental objectives. Bhargava was among the second batch of more than 100 scientists to sign an online petition last month against the "rejection of reason' that led to the assassinations of scholar M M Kalburgi, rationalist Narendra Dabhoklar and communist Govind Pansare. In his letter to the President dated November 6, made available to TOI, the scientist named BJP and RSS behind the climate of intolerance. "No one would be more aware than you that, de facto, BJP is the political front of Rashtriya Swayamsevak Sangh (RSS), and functions under the leadership of RSS that is fully committed to the ideology of Hindutva, which I find divisive, unreasonable and unscientific," he said. Noting that according to the Constitution, one of the duties of our citizens is to develop the scientific temper, humanism and the spirit of inquiry and reform, the letter said: "Steeped in superstition, unreason and irrationality, much of what RSS and BJP do goes against the grain of scientific temper. An example would be the recent statement of Shri Mohan Bhagwat who heads the RSS that marriage is a contract according to which the woman is supposed to be only a housewife and not work outside." Bhargava said the Padma Bhushan had been very dear to him. "My returning it to you, for whom I have much respect and admiration, is an expression of my concern at the currently prevailing socio-politico situation in the country." BBC News - #India student refuses to be 'anti-#Pakistan' poster girl. #Lynchistan #BJP #Modi http://www.bbc.com/news/world-asia-india-42081368# The Twitter account of an unofficial Pakistani defence blog is suspended after it doctored an image of an Indian student to portray her as someone who hated her country. Indian media swiftly hailed it as a "victory" against Pakistani propaganda, but the student, Kawalpreet Kaur, says she is uncomfortable with this narrative. The original tweet from Ms Kaur in June, featured her standing outside the 16 Century Jama Masjid in the capital Delhi, holding a placard that read: "I am a citizen of India and I stand with the secular values of our Constitution. I will write against communal mob lynching of Muslims in our country. #CitizensAgainstMobLynching." Ms Kaur told the BBC that she had taken the picture in June as part of nationwide protests titled "not in my name" against rising attacks on Muslims and Dalits (formerly untouchables) by vigilante groups seeking to protect cows, which are sacred to Hindus. The doctored image by Pakistan Defence saw the text on her sign changed to: "I am an Indian but I hate India, because India is a colonial entity that has occupied nations such as Nagas, Kashmiris, Manipuris, Hyderabad, Junagadh, Sikkim, Mizoram, Goa." The accompanying tweet read: "Indians are finally realising the truth; their country is actually a colonialist entity." A woman has alleged that a government doctor forced her to chant “Krishna Krishna” to carry out a tubectomy surgery on her. The doctor, the woman claimed in her police complaint, threatened to cancel her surgery if she did not obey his order. According to the complainant, Naseema Banu (22), a resident of Nandini Layout in Yeshwanthpur, she and her husband had decided that Naseema would undergo tubectomy surgery after the birth of their second daughter 10 months ago. Knowing of a tubectomy surgery camp being held at Chintamani Government Hospital on Tuesday, Naseema, her husband and aunt left for Chintamani and enrolled her name in the hospital. After hours of waiting for her turn, when Naseema went to the operation area, she saw doctors asking patients to chant “Krishna Krishna” during the operation. “I was asked to come for the surgery at 1 pm. The doctors operating on women were asking the patients to chant Krishna Krishna while being operated. As I was a Muslim, I started saying, Allah Allah, to which the doctors objected. I tried to convince them saying I am a Muslim and I cannot chant Krishna’s name, but the doctors refused to accept my explanation,” Naseema said in her complaint. She further said that the doctors threatened to cancel her surgery if she did not chant “Krishna Krishna” and that she was forced into chanting it. After the surgery, Naseema approached the Chintamani city police station and lodged a complaint, stating that her religious sentiments were hurt by the act of doctor Ramakrishna, who according to her forced her into chanting “Krishna Krishna”. Pakistan became an enemy that came between my friends and me occasionally, and between my country and me often. My yearning for acceptance of my loyalty as an Indian was strong, even though it came at the cost of irrationally bashing ‘Pakistan’ for its cricket and its politics, and anything that kept me on ‘the side of my people’ was acceptable to me. So, Pakistan, with which I had maintained a safe distance growing up, came close, uncomfortably close, when my husband had to travel to Pakistan for his journalistic pursuits. It was almost an irritation when my father had to go to the Pakistan High Commission to fetch my husband’s visa in his absence. My work got me in touch with Pakistani academics and researchers, and that is when I began to know Pakistan as its people. I found a window into their research, courses, and universities, daily email exchange and communication grew, and very soon my Facebook profile could list at least a hundred ‘friends’ in Pakistan. In early 2017, as my son recovered from a major heart surgery at Jaypee Hospital, I learnt of a family who had traveled from Pakistan for their son’s surgery. Our children were in the same ICU, fighting bravely for life, and outside, their Indian and Pakistani mothers shared their grief and bonded over the pain that they were going through. After three months of tough fight, the Pakistani boy passed away, and I remember his inconsolable mother as she cried in disbelief at her misfortune and the futility of her struggle. The little hope and courage that I would gather every day to see my son for two minutes every morning in the ICU seemed ruptured, and I could feel her pain. I hugged her, as this was the only solace that I could offer to another mother, who happened to be a Pakistani. A few days ago, I was at the Chaophraya Emerging Leaders’ Dialogue in Bangkok. A first of its kind in a nine-year-old Track Two dialogue between India and Pakistan, the dialogue brought together mid-career professionals who represented the next generation of leadership across industry and scholarship from both countries. I can claim to know the ‘people’ side of Pakistan now, which is as humble, passionate, and desirous of amity as are the people in India. They are also progressive, articulate, and ambitious, as are my people. I can appreciate them for what they are without the fear of being abused and demonised for this. I have come of age. But not all Indian Muslims who are subjected to verbal abuse and violent attacks and are repeatedly asked to ‘go to Pakistan’ will have the opportunity of mental healing. School-going Muslim children, who are derogatorily called ‘Pakistani’ by their classmates, will grow up as vulnerable and marginalised adults. No cricket enthusiast will ever be able to appreciate cricket for the spirit of the game, and no one will offer a hand of friendship. So next time, when some Vinay Katiyar (founder of Vishwa Hindu Parishad’s youth wing, Bajrang Dal) asks Indian Muslims to go to Pakistan, we should be able to tell him: I belong to India, it is my homeland, and Pakistanis are friends. The International Religious Freedom Report, 2017, says that BJP leaders, including Raman Singh and Adityanath, had been accused of making remarks that could be interpreted as condoning violence. The United States government has claimed in an annual report that Indian authorities “frequently did not prosecute members of vigilante cow-protection groups who attacked alleged smugglers, consumers, or traders of beef, usually Muslims, despite an increase in attacks compared to previous years.”The International Religious Freedom Report for 2017, put together by the US State Department every year, was released by US’ Secretary of State Mike Pompeo on Tuesday.“Advancing liberty and religious freedom advances America’s interests. Where fundamental freedoms of religion, expression, press, and peaceful assembly are under attack, we find conflict, instability, and terrorism,” Pompeo said in his opening remarks at the time of releasing the report.“On the other hand, governments and societies that champion these freedoms are more secure, stable, and peaceful,” added Pompeo. The Secretary of State also said that he would host leaders from across the world at a conference on religious liberty over July 25 and 26.The yearly report took a critical view of certain leaders of the ruling Bharatiya Janata Party (BJP), including Chhattisgarh chief minister Raman Singh and UP’s Yogi Adityanath, for making “public remarks that individuals could interpret as condoning violence.”“On April 2, Chhattisgarh’s Chief Minister Raman Singh said anyone who killed a cow in his state would be hanged,” it mentions. The document also refers to then parliamentarian, and currently Uttar Pradesh’s (UP) chief minister, Yogi Adityanath for saying that “Mother Teresa had been on a mission to Christianize India.”The report further highlights that BJP leaders were tacitly backing people accused of carrying out mob-lynchings of Muslims, as it mentioned the September 2015 incident involving the killing of Mohammad Akhlaq in Dadri, Uttar Pradesh.“In October 2017 media reported a Bharatiya Janata Party (BJP) state legislator in Uttar Pradesh was working to help the 18 charged individuals out on bail secure employment and the family of one of the accused that died in jail would receive 800,000 rupees ($12,500),” it said.The report also notes, “Members of civil society and religious minorities stated that under the current government, religious minority communities felt increasingly vulnerable due to Hindu nationalist groups engaging in violence against non-Hindu individuals and their places of worship.”The religious liberty report also mentions the surge in attacks on Christians under the current government, noting that they had jumped from 348 in 2016 to 736 in 2017. The figures were taken from the Union of Catholic Asian News, as per the US report. The report goes on to scrutinise the role of the National Human Rights Commission (NHRC) and the Ministry of Home Affairs, noting that the government agencies had been accused of coming out with misleading reports on communal violence on several occasions.Dwelling on the sectarian violence in Kairana in 2013, the report says that the National Human Rights’ Commission’s (NHRC) claims that members of Muslims community were responsible for driving out Hindus from the affected areas had been disputed by human rights activists.“Human rights activists acting on behalf of the Muslim community in Kairana, such as Harsh Mander, disputed the NHRC’s findings that Hindus had been driven out by Muslim crime and called on the NHRC to withdraw and apologize for the report, which the human rights activists stated had been used to spread prejudice against the Muslim community,” it states. Over the past weeks, a telecom giant, the Indian lender led by Asia’s richest banker, and the local rival of Uber Technologies Inc. have been roiled by controversies linked to comments on Facebook and Twitter involving a minority community in the Hindu-dominated nation. All these started as social media posts, then gained a life of their own as people backed or vilified the comments, eventually forcing the companies to react to contain any damage. Tensions on social media are mounting as the world’s largest democracy approaches elections early next year that will pit the Hindu nationalist beliefs of Prime Minister Narendra Modi’s party against the main opposition, which often spotlights secularism and rising religious intolerance. Risk consultancy Kroll Inc. says it’s seeing an “exponential increase” in questions from corporate clients on how to manage the fallout from incidents on social media. This is a recognizable Muslim name in a country currently riven by passionate teams of social media trolls, akin to the U.S. experience where political discourse often degenerates into hate-filled accusations. “Dear Shohaib, as you’re a Muslim and I have no faith in your working ethics... requesting you to assign a Hindu representative for my request. Thanks,” Singh responded. Soon after, another Airtel rep named Gaganjot -- a clearly non-Muslim name -- promised to resolve Singh’s concern. “Airtel has been resolute for 23 years” and “our training manuals will never carry instructions to pause and check one’s identity before serving a query,” the statement read. The company didn’t reply to an email from Bloomberg seeking further comment. NELLIE, India (Reuters) - Thirty-six years after losing his parents, sister and a four-year-old daughter in one of India’s worst sectarian massacres, Abdul Suban says he is still trying to prove he’s a citizen of the Hindu-majority nation. Suban is one of hundreds of thousands of Bengali-speaking Muslims categorized as “doubtful voters”, who will not find their names in a National Register of Citizens (NRC) the northeastern border state of Assam will release on Monday. Suban was seated with his wife at their house a few hundred meters from a vast paddy field where, in 1983, scores of people were chased down and killed by machete-armed mobs intent on hounding out Muslim immigrants. He survived by running as hard as he could and hiding behind a bush for days. Work on the citizens’ register has accelerated under the government of Prime Minister Narendra Modi’s Hindu nationalist Bharatiya Janata Party (BJP). With an eye on the 2019 national election, the BJP’s Hindu-first campaign has become more strident, critics say, playing to its core base with divisive programs such as the citizenship test in Assam, already a tinderbox of ethnic and religious tensions. Elsewhere in the country’s northern heartland, lynchings of Muslim cattle traders have risen under Modi in the country where many Hindus consider cows sacred, further deepening social divides. The BJP has denied the lynchings have any connection with it being in power. Modi has at least twice publicly spoken out against cow vigilantes. Several other survivors of the “Nellie Massacre”, which killed around 2,000 people from more than a dozen villages, gave accounts of burying bodies in a mass grave now partly under water. They said they hoped the release of the NCR list on Monday would not spark further violence. Security has been tightened across Assam. The citizenship test is the culmination of years of often violent agitations by Assamese demanding the removal of outsiders they accuse of taking jobs and cornering resources in the state of 33 million, known for its tea estates and oil fields. “The NRC is extremely important to make the Assamese people feel protected,” said Santanu Bharali, the legal adviser to the BJP chief minister of Assam. “The death of a cow has more significance than that of a police officer,” said actor Naseeruddin Shah in an interview released on December 17. He was referring to the December 3 tumult in Bulandshahr, Uttar Pradesh, in which violence by cow vigilantes from the Bajrang Dal left a policeman dead. Shah highlighted these events as an example of India’s fraught communal climate and the impunity enjoyed by people who commit such acts of violence. To all reasonable people, there was nothing wrong in what Shah said. It is alarming that the Uttar Pradesh administration decided to prioritise the investigation into the alleged killing of cows that triggered the violence instead trying to detain the men who murdered the police officer. After all, even Uttar Pradesh Chief Minister Adityanath had described the inspector’s shooting as an accident. Yet, for stating this simple fact, Shah was called a “Pakistani agent” by the Uttar Pradesh Bharatiya Janata Party chief and accused of treason by Ramdev, the yoga guru-turned-consumer goods magnate who is perceived to be close to the BJP. Most alarming, after protests raised fears of violence, the organisers of the Ajmer Literature Festival on Friday cancelled a session that Shah was to address. These vicious reactions have less to do with the substance of Shah’s statements and much more to do with his identity as a Muslim. This is not the first time a Muslim actor has been criticised for expressing his views on society and politics. In 2015, Shah Rukh Khan was compared to Pakistani terrorist Hafiz Saeed by the BJP’s Adityanath for speaking about India’s climate of “extreme intolerance”. The next year, much the same thing happened with Aamir Khan: he was attacked for appearing to criticise growing intolerance. The actor even lost a major advertising contract as a result. The fact that even Muslim celebrities are now expected to keep their political views to themselves sharply illustrates a core aspect of Hindutva: making minorities politically irrelevant. The BJP has made it a point of pride to ignore Muslims during election campaigns, choosing to build a purely Hindu consensus in places such as Uttar Pradesh. Other parties that court Muslims are derided as minority appeasers. This strategy has been quite successful politically. In many cases, even politicians who want Muslim votes are wary of raising issues that affect the community. Political representation has seen a sharp drop. The number of Muslims in the current Lok Sabha is at an all-time low. There are only 22 Muslim MPs in the 545-strong House – less than a third of what it should have been were the Lok Sabha to mirror India’s demographic composition. Being involved in the political life of their country is a basic right for any Indian citizen. India’s 170 million Muslims must not be shut out of political affairs. In #India, sacred #cows are running amok. Villagers are locking them in #schools. When cows were too old to provide milk and bulls were no longer useful for hauling or generating progeny, #farmers used to sell them to slaughterhouses. Now they're scared. the rise of “cow vigilantes” made transporting cattle in Uttar Pradesh a risky, expensive and potentially deadly task. Hindu extremists have beaten up and even killed people, mostly Muslims, whom they suspect of smuggling or slaughtering cows. The crimes largely target minorities, and go unpunished due to the support of law enforcement and, HRW said, "communal rhetoric by members of the ruling Bharatiya Janata Party (BJP) to spur a violent vigilante campaign against consumption of beef and those engaged in the cattle trade". HRW said 36 Muslims were killed in the reported time period, and police "often stalled prosecutions of the attackers, while several BJP politicians publicly justified the attacks". Victims are also from India's Dalit (formerly known as "untouchables") and Adivasi (indigenous) communities. Human rights activist Harsh Mander told The Guardian many of the killings were filmed, with the footage shared. "This 'performative' aspect of the violence recalls, for me, the lynchings of African-Americans in the US as a way of showing the status to which a community has been reduced." Many Hindus consider cows to be sacred and most states ban slaughtering cows, but the need to "save" cows and the proliferation of cow-protection groups around the country are recent phenomena. The Guardian reported that many Hindus in Kerala and Tamil Nadu eat beef, as well as members of less-powerful castes in need of a cheap source of protein. HRW found a 500 per cent increase in communally divisive rhetoric in speeches by politicians, 90 per cent of which were from BJP members. About 90 per cent of the attacks were reported after the BJP's ascension to power in May 2014, and 66 per cent took place in BJP-run states. "Calls for cow protection may have started out as a way to attract Hindu votes, but it has transformed into a free pass for mobs to violently attack and kill minority group members," said HRW's South Asia director, Meenakshi Ganguly. "Indian authorities should stop egging on or justifying these attacks, blaming victims or protecting the culprits." HRW said many cow-protection groups have clear ties to the BJP. The report itself focused on 11 cases in four states that resulted in 14 deaths, and the Government response in each. In almost all the cases, HRW found, police stalled the investigations, didn't follow procedure, or were complicit in the ensuing cover-ups. "Police face political pressure to sympathise with cow protectors and do a weak investigation and let them go free," one retired senior police officer in Rajasthan told HRW. "These vigilantes get political shelter and help."